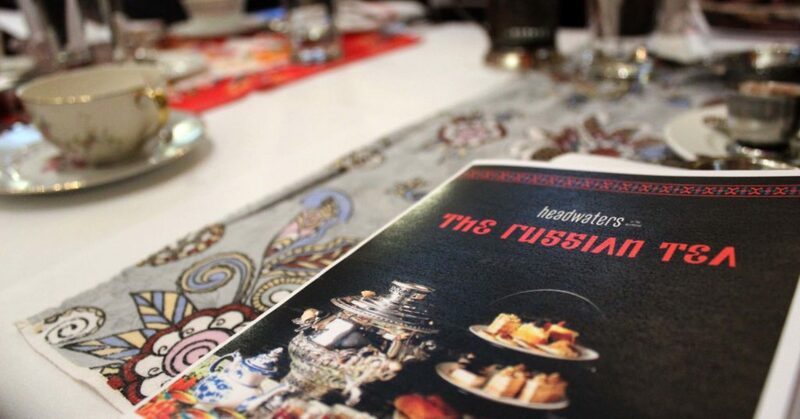 Last week I had the pleasure of attending Russian Tea service at the Heathman Hotel. It’s part of the new Headwater’s Restaurant. I am a huge fan of high tea, so this was right up my alley. In fact, I generally seek out high teas whenever I can. 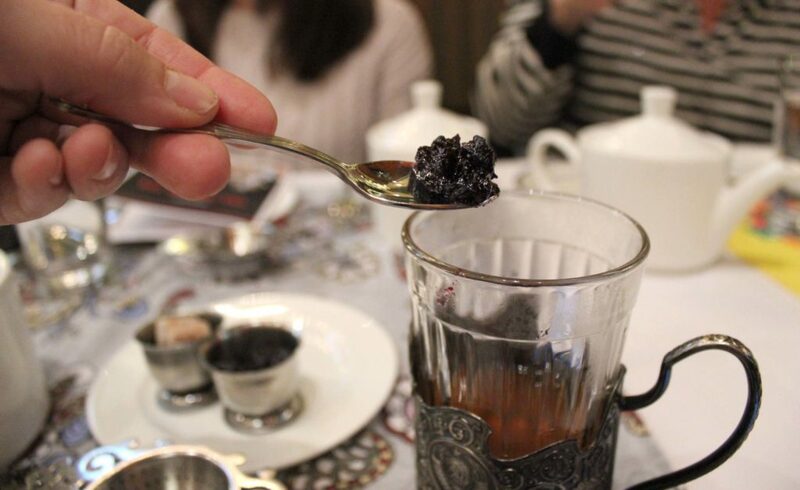 I’ve written about the service at Medley Teahouse in Multnomah Village, Lady Di’s Tea Shop and The Empress Hotel up in Victoria, BC. All of those are British tea services, so arriving at the Heathman, I was wondering how a Russian service would be different. 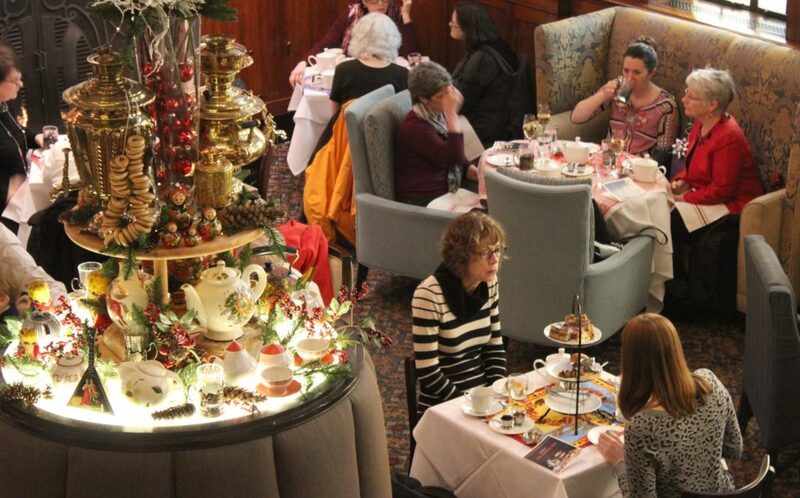 The Heathman serves their tea in the formal court that sits in between the lobby of the hotel and Headwater’s restaurant. 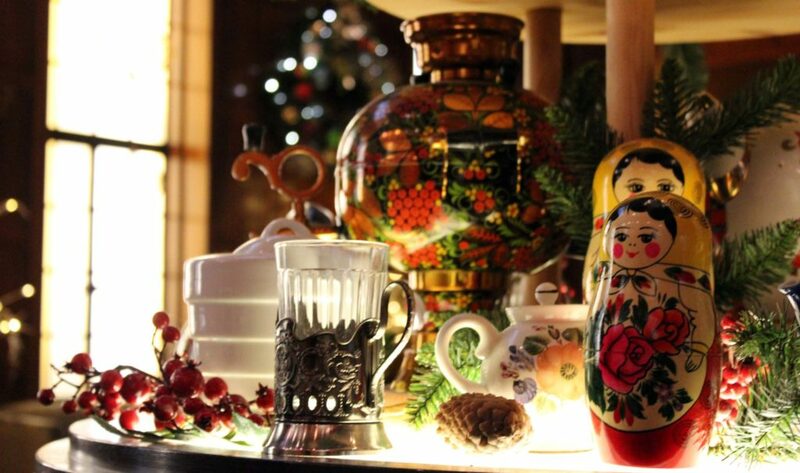 The space is always gorgeous but for the holiday teas, they have it decorated with Russian dishes, tea pots and nesting dolls from Vitaly Paley’s personal collection making it extra special. 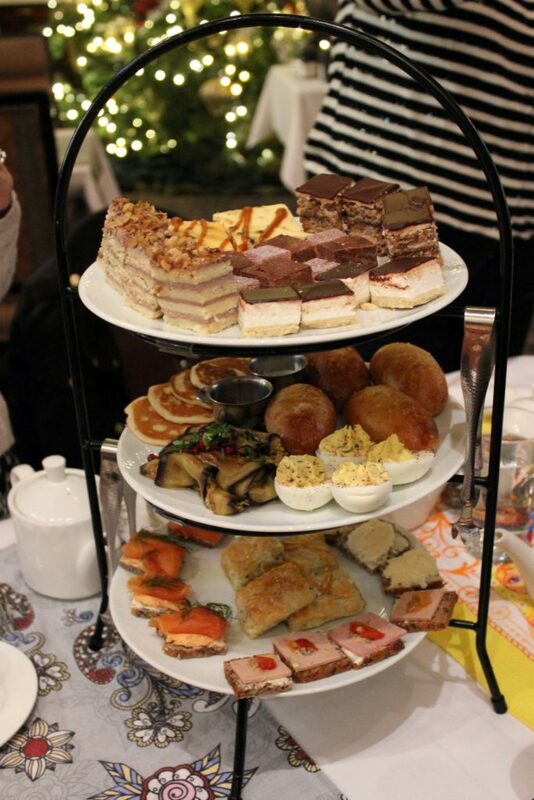 As for the service itself, it was surprisingly similar to the traditional British style: Everyone orders their own pot of tea, then a three-tier tower of treats arrives at the table for everyone to share. But the treats is where the Russian influence really kicks in. 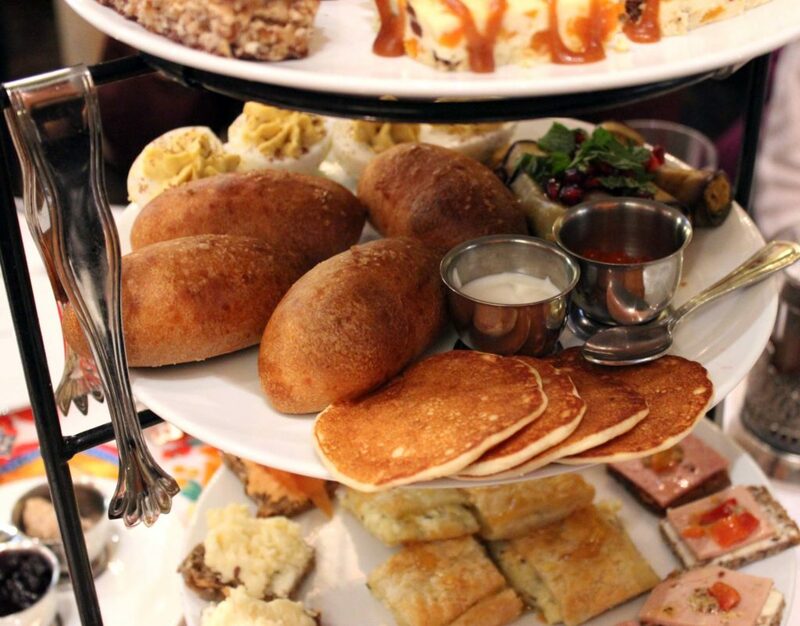 Two levels of the tray are delicious savory items, featuring smoked salmon, caviar, open faced sandwiches, deviled eggs and, my favorite, a roll stuffed with mushrooms. (I’m sorry, all of these items have real Russian names and descriptions but I lost my menu during the snowstorm on the way home!) On the top level, was a huge selection of sweets, five different cakes and candies for each person! 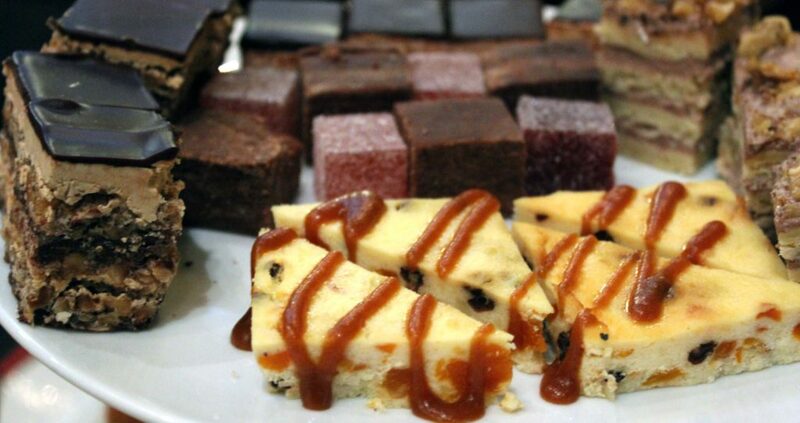 There was a chocolate and orange fudgey candy most people loved, but as usual, I was all about the cakes. I’m so glad that this holiday event has been revitalized. 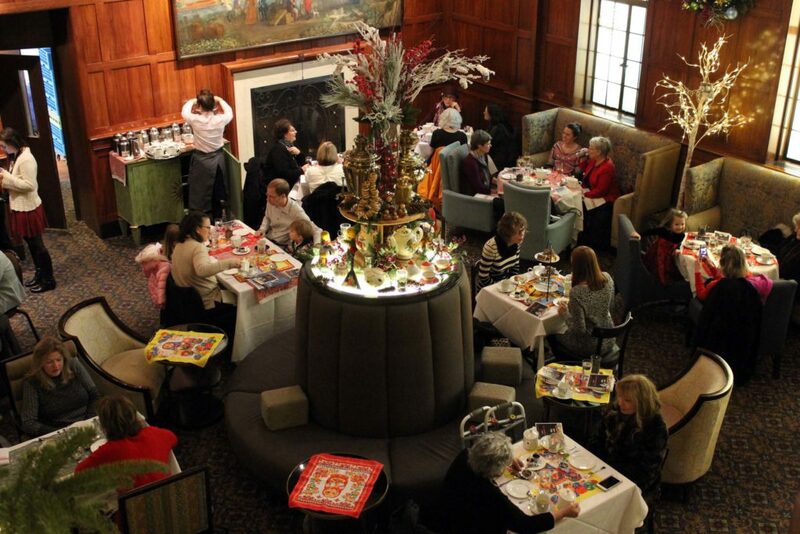 Holiday Tea at the Heathman Hotel was Portland tradition for years but it somehow faded away. It was excellent, as you would expect from the Heathman Hotel, but it was perhaps a bit stale. 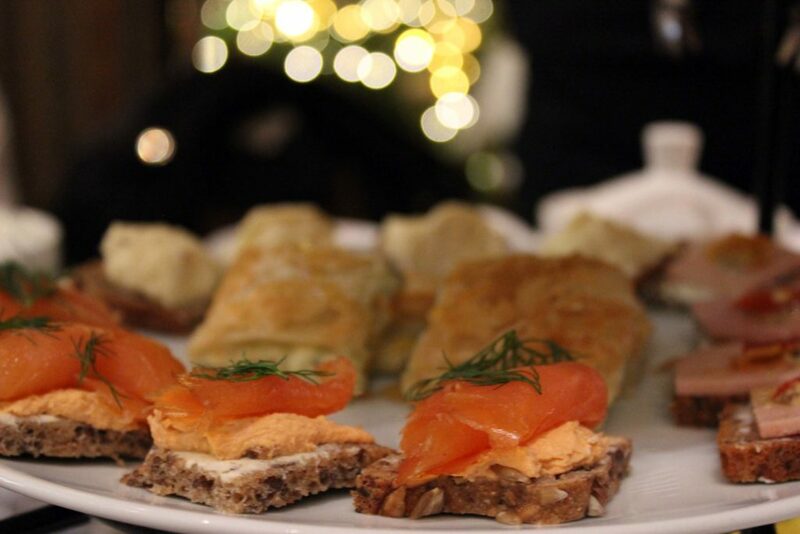 Paley’s idea to transform this into a holiday tea has injected a lot of excitement and fun back into the tradition. So much so that the are basically booked through the end of January. After that, what happens to the tea is still up in the air. It may move to just weekends, or return seasonally, but regardless, it is a huge hit and rightfully so. 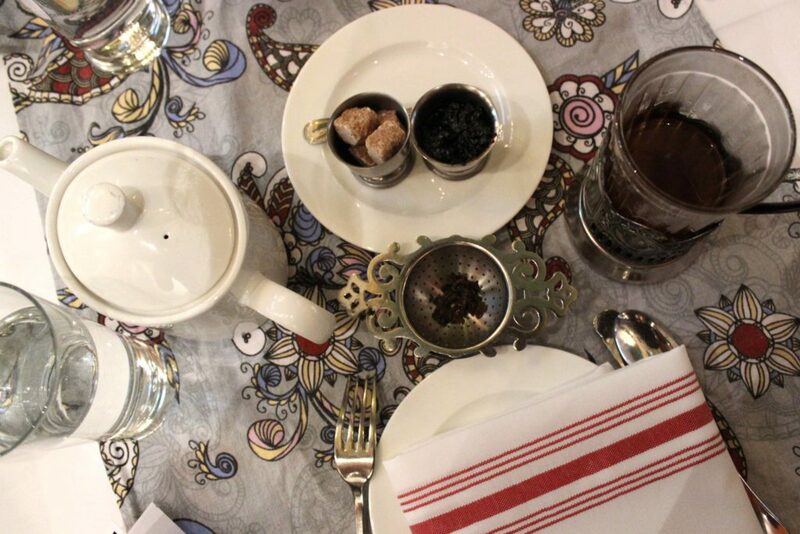 If you are a high tea fan like myself, I highly recommend it. Pinkies up!